The centerpiece of DeHaven Valley Farm Bed and Breakfast Inn is a Victorian farmhouse (b. 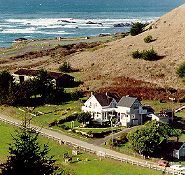 1875) situated on 20 acres surrounded by hills, redwood forests, meadows, streams, and the Pacific Ocean. A menagerie of farm animals provide unlimited entertainment, and the hot tub on the hill affords spectacular views. DeHaven serves superb four-course dinners to guests in the intimate dining room of the house. Many of the ingredients are grown locally, and a selection of Mendocino County wines is available. 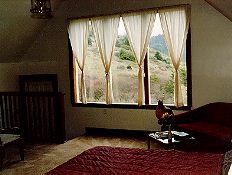 The house has five guest rooms, (three with private baths). In addition, there are three cottages/guest rooms with private baths. Six rooms have fireplaces. 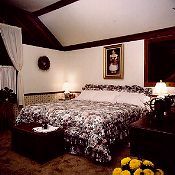 Rates: including a full country breakfast, (Specialty: Apple Pancakes) $89 - $144 for two people (Dinner is additional). For the most restful getaway you can find, in the most spectacular setting, come discover DeHaven Valley Farm. 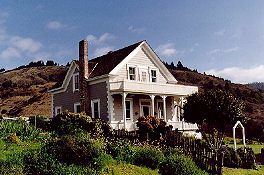 This and other Mendocino Bed and Breakfast Inns can be found here in The Register. 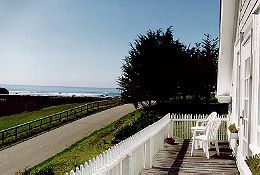 Romantic Country Inns, Getaways and B&Bs offer a great California coastal lodging alternative to big hotels.